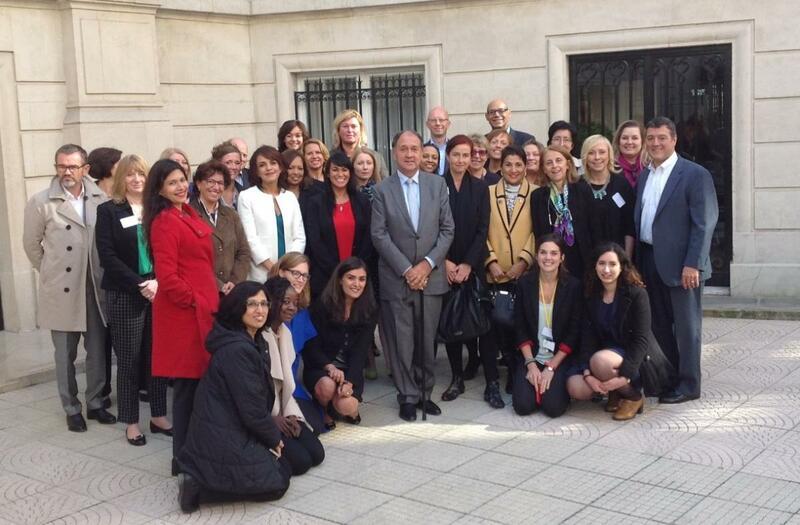 Women@Capgemini is a global program adopted in 2012, and supported by our Chairman and Group CEO, Paul Hermelin, to set the overarching guidelines around gender balance across the Group. It encapsulates all initiatives that have been set up in our business units around the world and it helps the regions that did not have a program to set one. Also allowing to share best practices put in place in local programs, it is based on the fundamental principle of “equal opportunities, equal chances”. This program is destined to leverage all talents in the organization to deliver innovative results to all our stakeholders; our team members, of course, but also our clients, partners and shareholders. One of the main goal is to globally change the corporate mentalities through strong commitments and role models from Group leaders. In 2017, Capgemini turned 50. While we celebrated 50 incredible years, we also celebrated 50 exceptional women working in our Group. We shared 50 Inspiring stories of 50 Exceptional women from October 9 to December 20, 2017 on Capgemini social media pages and on Capgemini Youtube channel. Through these 50 videos, women from Capgemini around the world show personal and professional anecdotes which highlight the courage, determination, challenges and successes experienced by most of the women across the globe. #BreakingStereotypes gives an overview of the stereotypes faced by some women in their professional or personal life and how they overcame them. #BreakingTheGlassCeiling shows the trajectory of rising stars. This campaign showcases 50 exceptional out of the 60 000 who are working in Capgemini but we are confident that you will find and meet these role models around you, amongst you, within you… Just look around! Granted only to organizations that achieve the highest standards of career excellence, Capgemini Brazil received the “Top Employers 2012 Award”. Capgemini France received the EDGE Certification (Economic Dividends for Gender Equality) in recognition for its commitment to gender equality in 2016. The website “lamixitéetvous.fr” was recognized at the 2013 Diversity Trophies. Best Practice Award for OWL program (Outstanding Women in Leadership): A 12-month program, delivered in partnership with Skillsoft, and targeted at C-grade women – our emerging leaders of the future! The objective is to support the accelerated development of our C-grade women talent, thus strengthening the pipeline of potential D-grades. Capgemini US received the EDGE Certification (Economic Dividends for Gender Equality) in recognition for its commitment to gender equality.